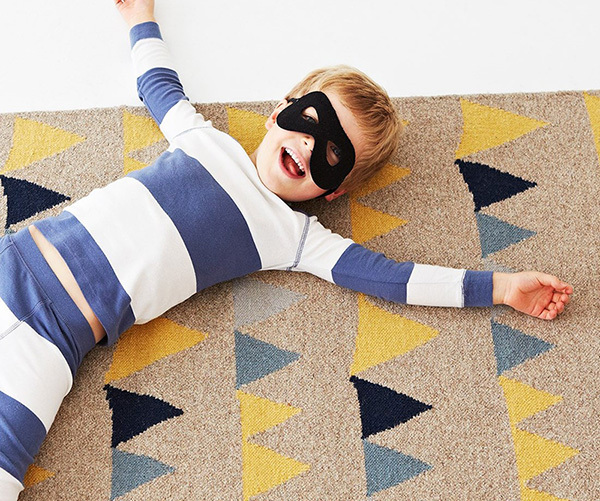 Fun for your floor with Armadillo & Co rugs! When is a rug not just a rug? When it’s an Armadillo & Co rug. 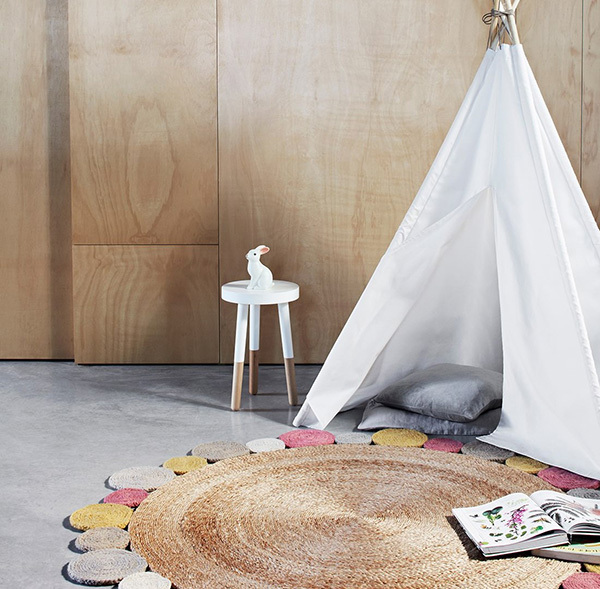 No, it’s not a bad sounding joke (though I won’t blame you for thinking so) but there’s no mistaking the fashion forward and fun style of Armadillo & Co’s Junior Collection of rugs (in junior sizes no less), made perfect for kids’ spaces. Armadillo & Co Junior Collection rugs are available in two sizes, with the smaller size (1.4 x 2m) a great fit for an average sized bedroom. Those who delight in all things spotty will positively swoon over the Confetti rug (pictured above, from $695). 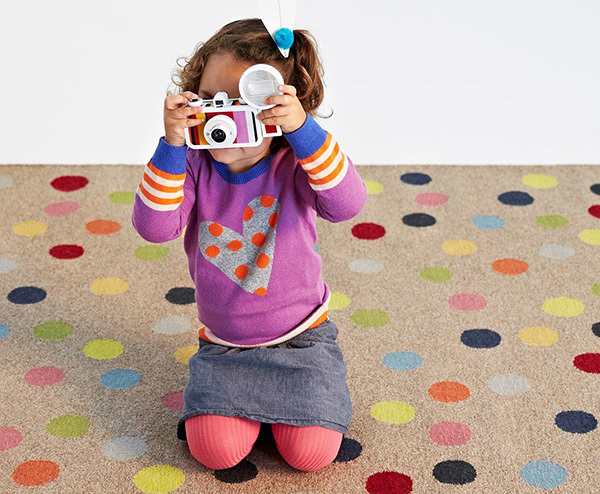 Made from natural sustainable fibres, this multi coloured beauty is sure to be a textured dream underfoot. 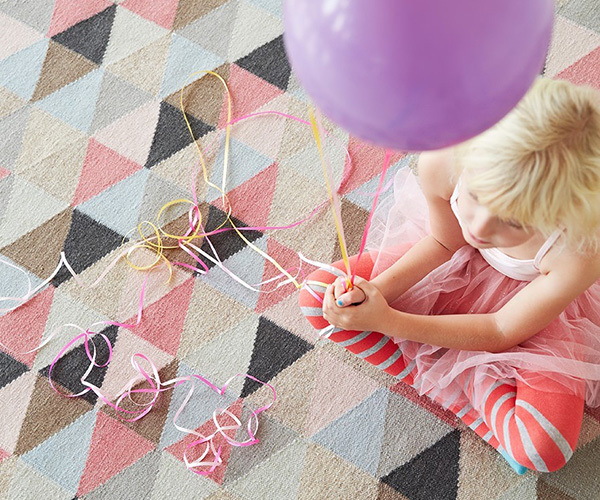 Armadillo & Co know their way around a woven wool rug too – the Bunting rug (above, from $695) is beautiful, flying the flag for a simple but beautiful print, as does the Ballerina rug (below, from $695) in all its geometric glory. A magnificent option for anywhere in your home are the stunning woven hemp rugs. While I’m partial to the Camellia, I’m quite sure the Daisy in natural (both pictured below, from $210) or with a pop of colour (there are three to choose from) in wool will also be nothing short of divine on your nursery floor. Getting a little piece of Armadillo & Co rug magic for your floor is easy. 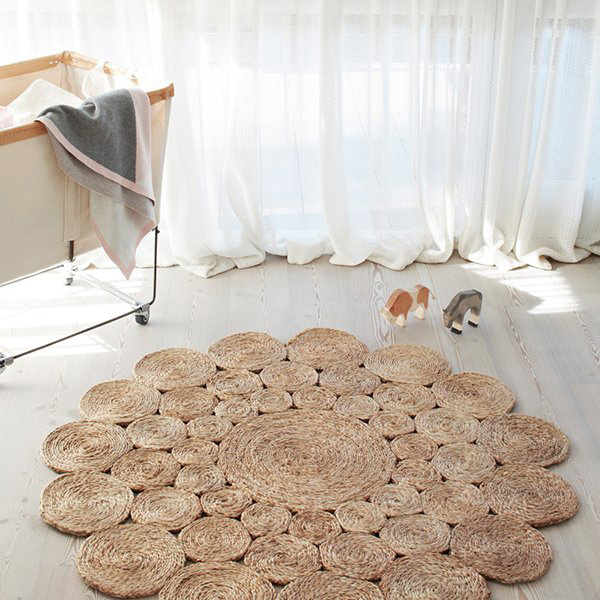 You can order Junior Collection rugs directly from Armadillo & Co!